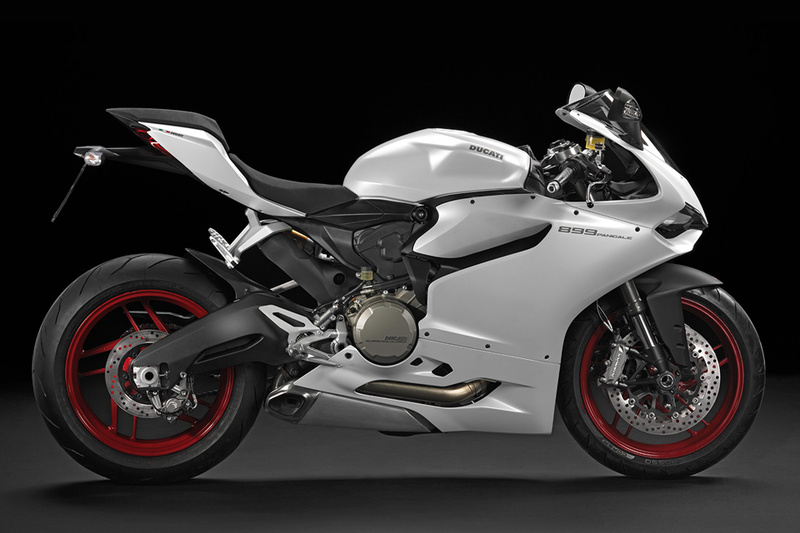 Made to replace their former flagship bike, the 848 Superbike, the Ducati 899 Panigale Motorcycle ($15,000) feels comfortable on the road and track. It features an L-twin engine producing 148 horsepower and 93 lb-ft of torque at 9,000 RPM — a slight power increase at lower RPMs compared to its predecessor. A hotter engine combined with a serious electronics package (Ducati Quick Shifter, Ride-by-wire, triple-stage ABS, Traction Control, Engine Brake Control) should make for a fun ride. An aluminum monocoque frame, three-way adjustable suspension, and Brembo brakes will make for great handling no matter where you take it. Available in October. Urban living gives you a great excuse to ditch your wheels and start taking advantage of your proximity to everything — but often you're not willing to rely entirely on the power of your legs to get you where you need to go. Greyp Bikes ($8,000) give you a choice, letting you use them as a bike when you want it, or a motorcycle when you need it. With a maximum speed of about 40 mph, and a range of almost 75 miles, it's the perfect vehicle for getting around the city, whether you choose to pedal, use battery power, or both. An LCD panel gives you all kinds of useful feedback, a fingerprint scanner lets you customize the experience and access for multiple riders, and the battery can reach a full charge in just under an hour and a half. Have a spare XR50/pit bike engine and parts lying around and an old mountain bike collecting cobwebs in your garage? Spend your weekend turning them into a fun, efficient way of getting around town with a Motoped ($1,000) conversion kit. All you need to bring to the project are a Honda 50-190cc motor, gas tank, seat, and a couple other parts, along with forks, brakes, wheels, tires, cranks, and pedals from a mountain bike. The kit comes with everything else: frame, swing arm, jack shaft, bottom bracket, rear hub, sprockets, and exhaust. When you're finished, you'll have a 4-stroke motorized bike that you can pedal, or ride on- and off-road. Sometimes the open road isn't enough freedom, and you feel the need to hit the dirt. If you own a Harley Davidson 1200 or 883 Sportster made between 1993 and 2003, the guys at Carducci want to help turn it into an SC3 Adventure Dual Sport Motorcycle ($TBA). You supply the bike, they supply everything else, including the swing arm, gas tank, foot controls, fly screen, crash bar, skid plate, subframe, and more — doing all the assembly in their California shop. When you get your bike back, it'll be a fully-street-legal, off-road machine. The Ducati Diavel Dark Motorcycle ($18,000) just looks mean — a bike you really wouldn't want to mess with. For starters, the all-black paint job makes it look like something that would be at home in the Bat Cave. It has swept-back, sharp lines from the headlight to the tail, and a massive rear Pirelli Diablo Rosso II tire that gives it a stance like it's ready to pounce. It also comes with an engine befitting such an aggressive machine, the Testastretta 11°, which produces 162 hp and 94 lb-ft of torque — plenty to help it leap from traffic light to traffic light. Who says you can't look cool and still ride safely? The guys at Biltwell make both possible with the Gringo Helmet ($150). This motorcycle helmet is styled simply without sacrificing any of the necessary safety features. An injection-molded ABS outer shell and EPS inner shell protect that precious brain of yours, while several color options keep you looking good (available in flat black and titanium, gloss black, orange, and white). Snaps let you attach a bubble shield to protect your eyes, but we think a pair of goggles will suit you better. Based on the same architecture as the Mission bike that destroyed the field at the FIM/TTXGP Laguna Seca race in 2011, the Mission RS Motorcycle ($56,500) is set to bring high-end electric riding to the streets. Limited to just 40 examples — one for each second of the aforementioned prototype's lead — the RS is powered by the company's InfiniteDrive powertrain, delivering over 160hp, a sub 3-second 0-60 time, a top speed of 150 mph, and a 140 mile range. Other features include Ohlins FGRT forks, BST carbon fiber wheels, and a seven-inch touchscreen powered by Mission OS, an Internet-connected info system offering turn-by-turn directions, an integrated HD camera with telemetry overlay, wireless HUD integration, and more — making this not only the most eco-friendly superbike around, but also the most tech-savvy.